Corded, cordless or petrol? Rotary or cylinder? Robotic or ride-on? 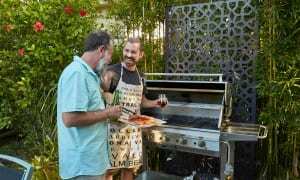 This expert guide will help you select the best lawn mower for you. Whether you’re mowing a postage stamp-sized lawn or an acre of grass, we’ll help you choose the best mower for you. This article will explain the pros and cons of the different types of mower, plus the features to consider. Or you can go straight to our Best Buy lawn mowers that have topped our independent, rigorous tests. What’s the difference between a rotary mower and a cylinder mower? How do I get a striped finish on my lawn? What is a self-propelled lawn mower? 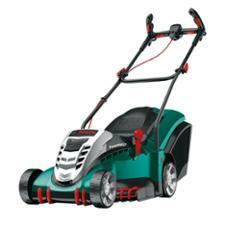 Corded electric lawn mowers are often the cheapest option and many will do a good job of cutting grass. They will cut for as long as you need them to with no need to charge or buy fuel. They tend to be lighter than other types of mower. You should be able to get a good one for between £120 and £250. Look out for one with lawn combs and inset front wheels so it can mow right up to the lawn edge. You’ll be limited by the length of the power cable and may need to use an extension lead to reach the bottom of your lawn. Always use an residual current device (RCD) and be careful to keep moving the cable out of the way as you mow as it’s very easy to cut through it. Take care not to let the cable damage your plants as it moves around. Go to our top five corded electric lawn mowers. Hover mowers glide over the grass on a cushion of air. They are light and simple to use. Models without a grass box are very compact and can be hung up on a wall. You can pick up a basic model for around £75. For a larger machine with a collection box, expect to pay around £150. 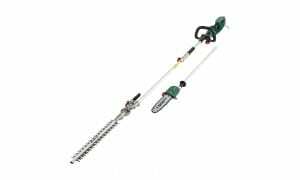 These are a type of corded electric mower, so you need to be careful with the cable and use an extension lead if the power cable isn’t long enough to reach the end of your lawn. Always use an residual current device (RCD). Many models don’t collect the clippings so you’ll need to rake them up afterwards. These mowers don't leave a very smart finish on the lawn. Only the largest machines can tackle damp or long grass. Unlike corded electric lawn mowers, they’re not limited by a cable, so you can cut anywhere you want. Batteries and chargers can sometimes be shared with other tools in the same brand’s range. You should be able to get a good one between £350 and £500. The battery running time will limit how long you can mow for. Some cordless mowers have a cutting time of more than 30 minutes, while others will run out of charge within 20 minutes. Battery charging times vary between models. A good charging time is around one hour. Some mowers can take more than six hours to fully charge. 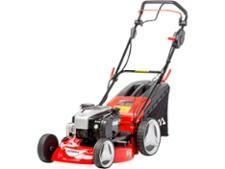 The cost of the battery and charger is sometimes not included in the price of the mower. Spare batteries can be very expensive. It’s sometimes cheapest to get them when you originally buy your mower. 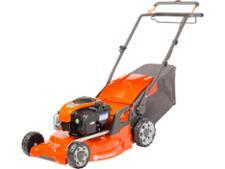 The battery often makes them heavier than corded electric mowers but they’re usually lighter than petrol mowers. Go to our top five cordless lawn mowers. 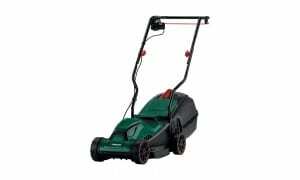 They tend to be more powerful than other types of mower, so are suitable for larger lawns, bumpy or sloping ground, and areas of long and rough grass. They’re not limited by a power cable, so can be used anywhere. Many offer the ability to mulch the clippings. You can get a good one between £350 and £550. They tend to be heavy machines, weighing more than 30kg. Self-propelled models are easier to push. Some models can be difficult to start; a push-button or key start is usually easiest. You’ll need have fuel to hand to fill them up when they run out. Some produce smelly fumes and are noisy to use. You’ll need to have them serviced annually. Go to our top five petrol lawn mowers. Allow you to tackle large lawns with ease. A zero-turning model will make it easier to mow around obstacles such as trees. Choose between models that collect the clippings, discharge them on to the lawn and/or mulch them. Range in price from £1,200 to more than £5,000. You’ll need fuel to hand to refill them when they run out. Once installed, it will mow your lawn with little input from you. Some models are capable of cutting lawns that are 5,500sq m and more, making them a great alternative to a ride-on or petrol lawn mower. Cuts regularly and mulches the clippings back into the lawn so there are no clippings to deal with. You can set the mower to your specifications, such as how tall the grass should be. Guide lines stop the mower going where you don’t want it to cut. These can be moved to suit you during the year. They start at around £600 and go into the thousands. Installing the guide lines to set the boundaries of where to cut can be tricky, so it’s easiest to get someone to install the mower for you. Can be at risk from garden thieves. Read our guide to robot mowers. Cutting width is the size of the lawn mower blade. The larger the blade, the more grass it will cut on each pass. It's important to choose a mower with the right cutting width for the size of your lawn. Too large a cutting width on a small lawn and you'll struggle to manoeuvre it in tight corners, while too small a cutting width on a large lawn, and you'll find it takes much longer to cut all the grass. Most lawn mowers have a rotary blade (see image on left) which spins around on a central point under the mower, cutting the grass as it turns. Cylinder mowers (see image on right) cut the grass like scissors, so leave a very good finish, which makes them ideal for manicured show lawns. They don't cope very well with long grass or bumpy lawns, though, and very few of the hand-push models collect the grass well. They're really designed to keep regularly cut, short grass looking very neat. Most lawn mowers won’t leave a striped finish. If you’re after this, you’ll need to look for a mower that has a roller, which will flatten the grass as you mow. Heavier mowers tend to leave the best stripes. Petrol lawn mowers can be very heavy, making them hard work to push around when mowing. To reduce the amount of effort involved, look for a self-propelled model as these have an extra drive which will push the mower along. At the start of the year and during dry weather, it’s a good idea to leave grass longer so it doesn’t get stressed. In summer, you’ll want to cut it shorter so it stays looking neat for longer. Most lawn mowers let you adjust the height of the cut between a set range of heights. Make sure that the mower can cut the heights you require and check how easy it is to change the height. Some can be changed by simply moving a lever, while others require you to change the height of each individual wheel, or to add or remove spacers under the cutting blade. The less fiddly the mechanism, the quicker it is. This is mainly an issue for petrol lawn mowers, as electric mowers are easy to start. Some petrol mowers start by giving a sharp tug to a pull cord. This can require a fair bit of strength and isn’t easy for everyone. For simpler starting, look for models we recommend; these usually have a push button or key start. Some lawn mowers have a fixed-length handle, while others let you adjust it between a range of heights. Check that the mower height will be comfortable for you, especially if you’re taller or shorter than average. Some are easier to adjust than others. It’s also worth looking at whether the handles can be folded as this should make them take up less space when stored. Some mowers can be hung up or stored vertically to reduce the amount of space they occupy. Some mowers are easier than others to get close up to lawn edges and around obstacles. Features such as grass combs can help them achieve this. Being able to get close to edges reduces the amount of time you’ll spend afterwards trimming missed grass with a grass trimmer or shears. Now you know what to look for, head to our lawn mower reviews to find your perfect model.